Well, this DIY project has nothing to do with sewing, but I thought it'd be a useful crafting job to share with you guys. Last summer when I began selling vintage at Katy K's in Nashville, I had to tag all of my items for the first time (selling online, tagging isn't so much of an issue). 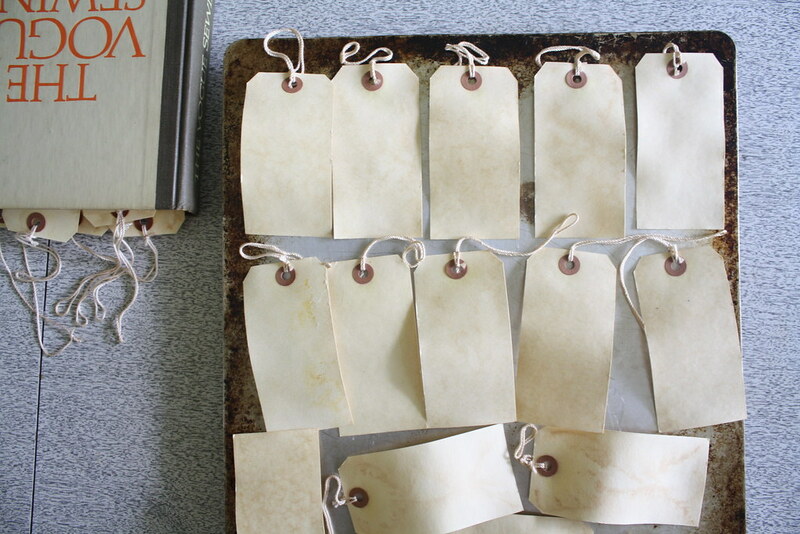 I immediately sought out tea-stained manila hang tags online to stamp and attach to my pieces.. they looked kind of worn and aged, and I wanted that aesthetic for my tags. 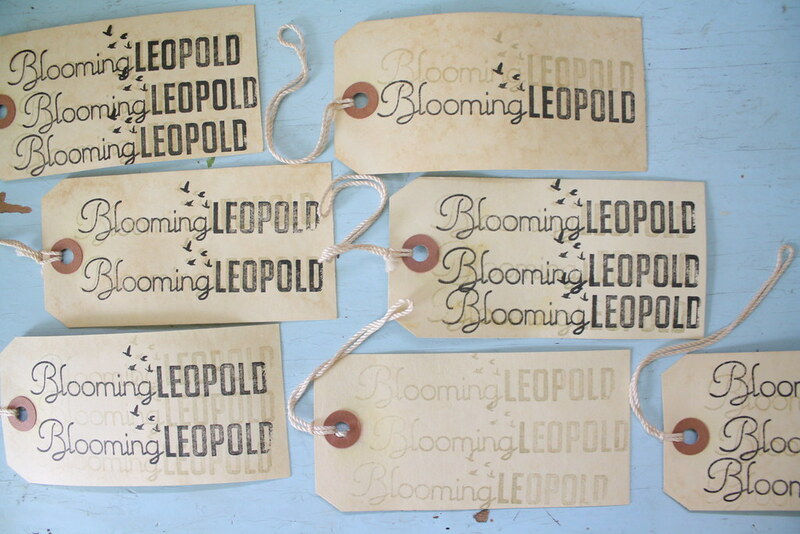 Little did I know that staining tags yourself is way cheaper and so fast and easy. This week, since I'm low on tags for my Local Honey collection, I decided to try it out myself. 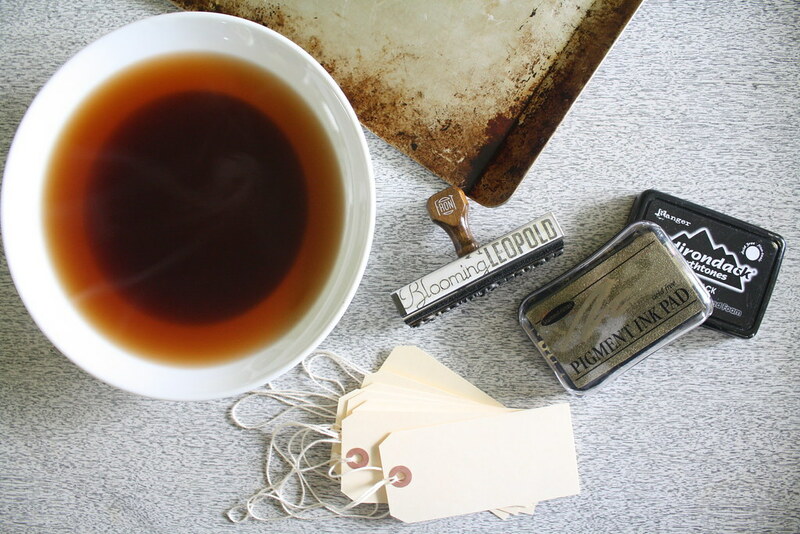 What you'll need.. a wide, shallow bowl filled with hot tea or coffee - mixed with vanilla, cinnamon, or whatever you'd like, paper hang tags with attached strings, baking sheet, an oven, and a stamp with your chosen ink pads. 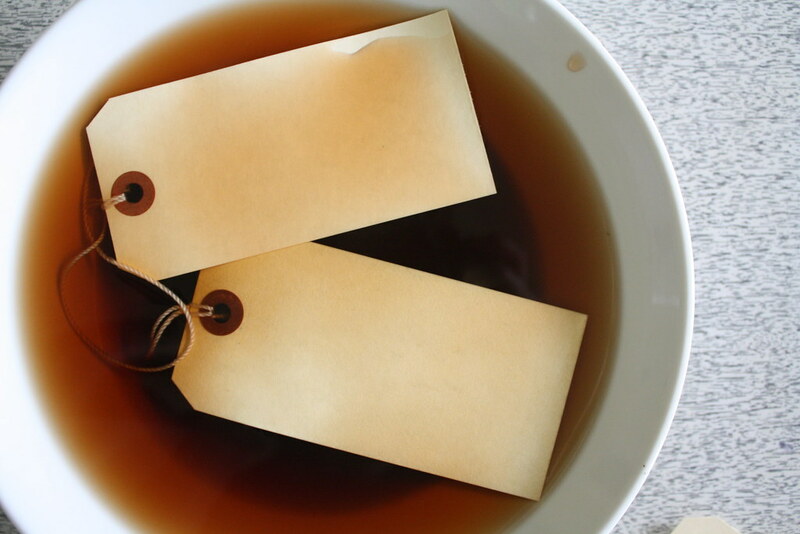 I added vanilla to my tea to make my tags smell better. 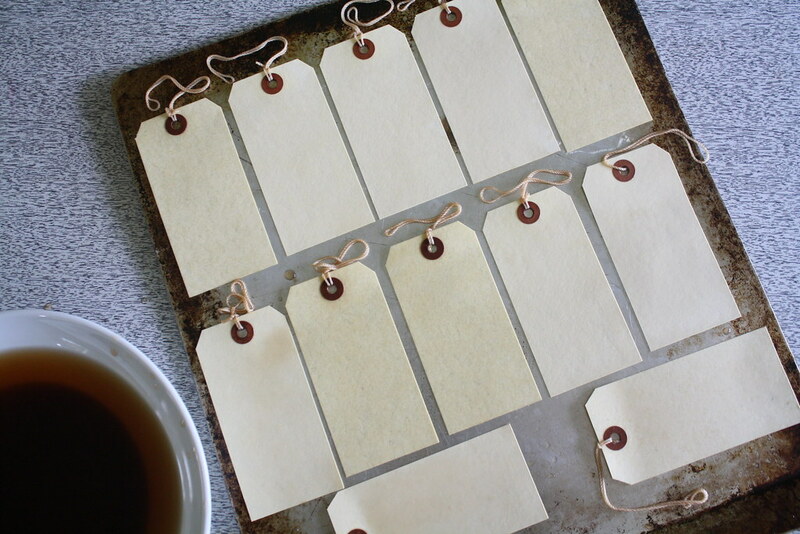 After brewing your tea or coffee (and brewed strong for added color), soak the tags. The first batch, I just dipped the tags in.. I learned that it didn't give much color, so the second time around I let the tags sit in the tea for about five minutes. 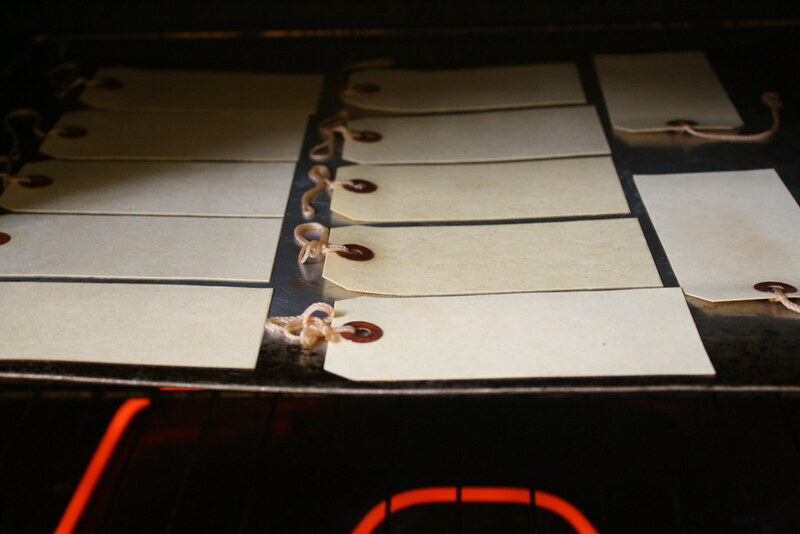 Once your tags have soaked, lay them out on a baking sheet and dry them in a warm oven. Keep an eye on them while they're baking - they can and will burn. I baked my tags in an oven set on warm for about 15 minutes. Once they're out, they're done. Each one will look a little different from the other, with marks left from the tea - that's how they should look. After letting the tags cool, I placed them in a heavy book to flatten them out. Then, it's time to stamp! 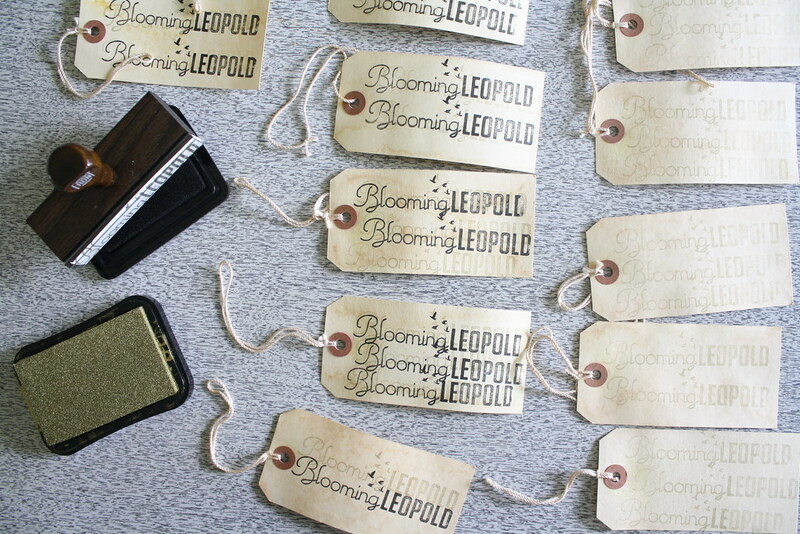 I used my Blooming Leopold stamp and gold and black ink, layering the black over the gold in slightly different ways. And that's all! A pretty simple hour spent. 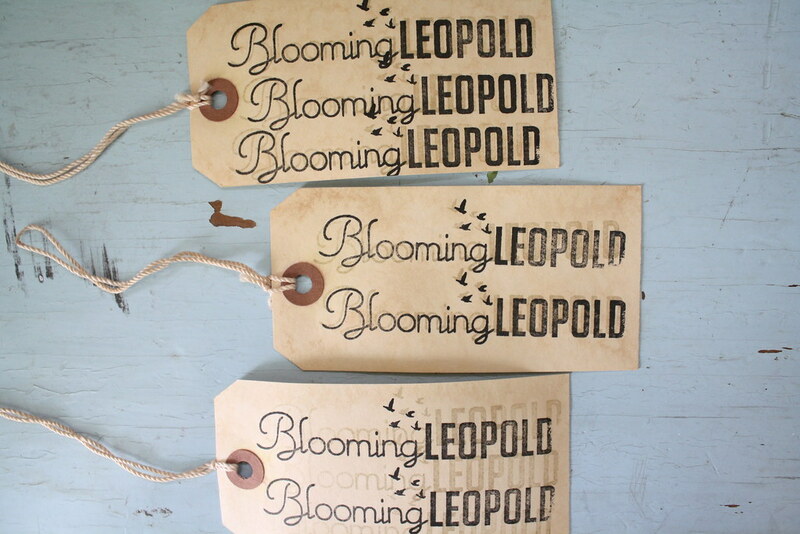 I'll be using these tags to write notes to my Etsy customers, as well.. you can pick up manila tags just about anywhere, so if you have need of some hang tags (Vanessa suggested using them for presents - that's a great idea!) and want a worn-out look, try this out. Hope you had a great weekend!